Houseman & Sellars Property Services Ltd - Builder based in York, North Yorkshire. 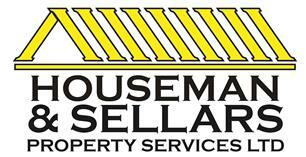 Houseman and Sellars Property Services Ltd is a friendly, reliable honest hardworking team. Andrew Houseman and Darren Sellars are the founders of the company, who work closely with there team of experienced craftsmen to help our clients achieve there dream home. We are a very dedicated team who always put our customers first. We appreciate that building projects can be stressful and we are always on hand before, throughout and after the project to offer advise and recommendations to our customers to ensure there project runs smoothly and is finished to their satisfaction with as little disruption as possible. We cover the York area and surrounding areas.